Heat oven to 350°. Mix meat and salt; divide in half. Pat on half evening into ungreased 8-inch pie pan. Mix cream cheese, mustard and horseradish; spread over meat in pan. 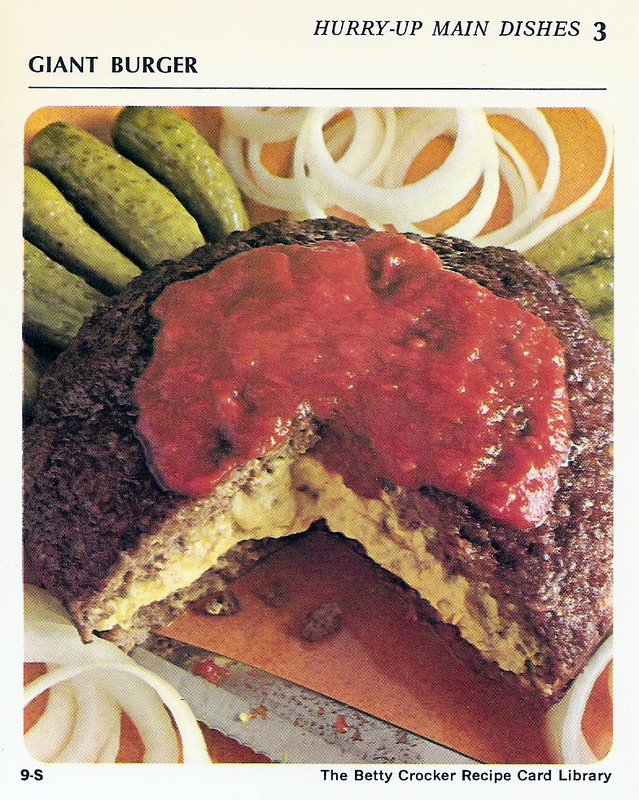 Shape remaining meat into 8-inch circle. Place on cheese mixture; pinch edges together to seal. Bake 45 minutes for medium, 55 minutes for well done. Remove meat to large serving plate; place onion rings around meat. To serve, cut meat into wedges. Heat oven to 500°. Mix meat an onion; spread on toast slices making sure mixture covers edges. Season with salt and pepper. Place meat side up on ungreased baking sheet. Bake 3 to 5 minutes or until meat is done. To serve, cut slices in half.